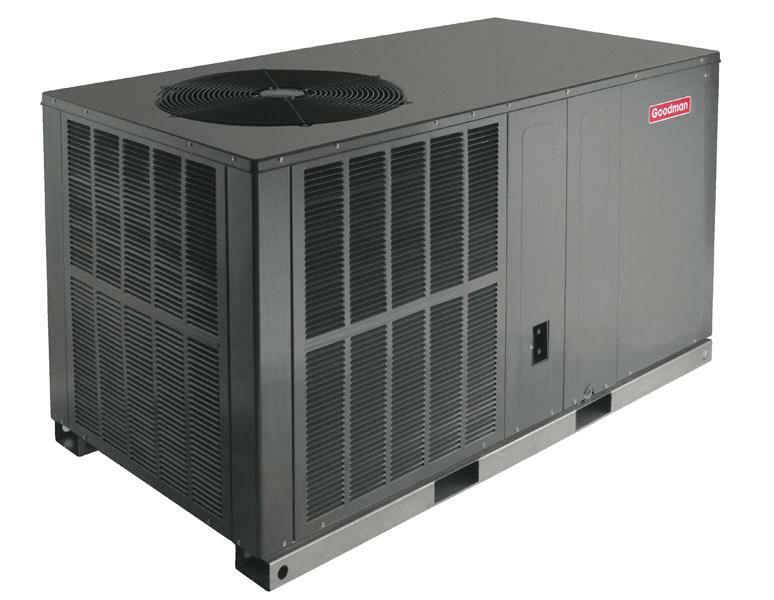 The Goodman GPH1430H41 is a self-contained, packaged heat pump with heating and cooling capabilities. For air conditioning, this model uses an energy-efficient compressor with an internal release valve. This line of heat pumps uses the environmentally friendly R-410A chlorine-free refrigerant for cooling. It has a 2.5 ton and 24,000 BTU cooling and 27,600 BTU heating capacity. This Goodman heat pump comes from the GPH14Hline, which utilizes an EEM blower motor. This unit's copper tube/aluminum fin condenser coil provides impressive reliability. Plus, it comes with a totally enclosed, permanently lubricated condenser fan motor for long-lasting reliable use. Goodman's packaged units are designed to be incredibly energy efficient. This model offers 14.5 SEER and 12.0 EER ratings, as well as an HSPF rating of 8.0 These contribute significantly to home heating and cooling costs, especially when compared to systems with less efficient ratings. The benefit of a packaged unit is that it comes fully complete and self-contained, housed in a heavy-gauge, galvanized-steel cabinet with a UV-resistant powder-paint finish. It is fully insulated, which protects it from the elements while reducing the sound it makes during operation. It's easy to maintain, as well, due to convenient access panels. This model allows for a ground-level or rooftop mount with horizontal flow installation.